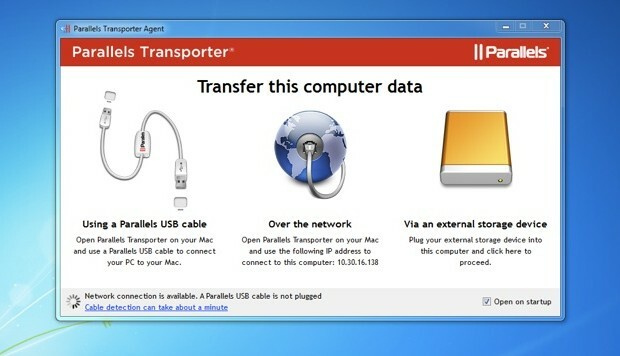 Migrating from a Windows PC to Mac just got a whole lot easier thanks to an app called Parallels Transporter. It’s actually two apps, one client that runs on the Windows PC and the other runs in Mac OS X, install both and they’ll talk to each other and do almost the entire file migration for you. Is there an easier way to move files from a PC to Mac? Probably not. You can buy Parallels Transporter on the Mac App Store, it’s just $0.99 for now but the usual price is $39.99. That’s a pretty huge discount, so if you or someone else has any plans on ditching a PC anytime in the near future, do yourself a favor and buy it now for the whopping discount. 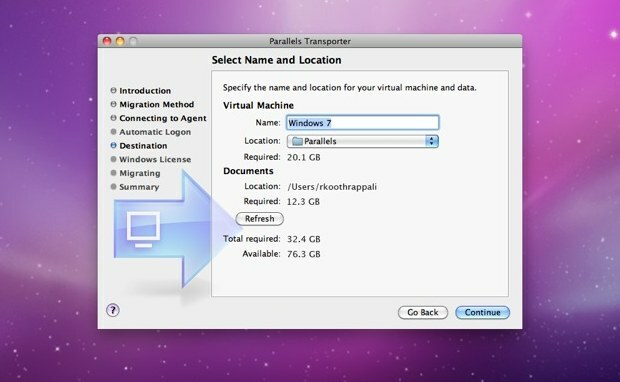 After seeing how easy Parallels Transporter makes the Windows to Mac file and app migration, I’m a bit surprised Apple doesn’t include a feature like this in Mac OS X. I suspect this will be a popular tool, and I’ll definitely be recommending it to future Mac switchers. Personally I don’t find it difficult to just network a couple machines but for the price of $1 this is hard to compete with. You’re absolutely right in that Apple should ship a tool like this, quite strange they don’t really. VMware Fusion includes a similar tool, to build a new virtual machine as identical as possible to your old PC. It doesn’t migrate files to the Mac side, though. It does files migration and P2V as well I think. Will get it for sure at that price!